These situations often end up in court, so you need an attorney who can litigate your case like Jonah Wolfson of the Wolfson Law Firm. Mr. Wolfson litigates and tries cases in Miami-Dade County. Following an accident, it’s important to have someone try and obtain the contact information from any witnesses of the accident, along with any other details pertaining to the incident. 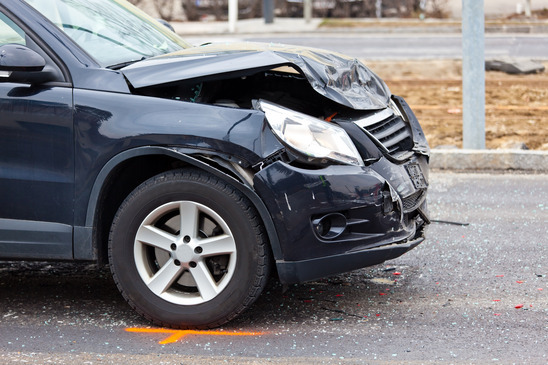 These details may be able to provide important information that can used in a lawsuit, and are often quickly forgotten after the accident scene has been cleared. Make sure to get and review a copy of the official accident report too. Head-on collisions in Florida are often caused because the at-fault driver committed a traffic violation. If you think that is the case, you need to be sure the at-fault driver was issued summonses for all traffic violations committed that led to the accident as additional documentation confirming who was at fault in the accident. You need to have as much evidence of the facts as you can when dealing with an insurance company. A personal injury attorney, like Jonah Wolfson of the Wolfson Law Firm, will guide and manage your case from the initial evidence gathering to the conclusion. There are many things the average person does not know about the law when it comes to car accidents. The Wolfson Law Firm will look out for your interests every step of the way. Insurance companies have a small army of in-house attorneys and also will contract with expensive specialist attorneys when there is a catastrophic auto accident injury. These lawyers all have the same goals: to save as much money as possible for the insurance company and to make sure an accident victim gets as little compensation as they can get away with. It is usually best to have legal representation that has the knowledge to effectively deal with all insurance company issues. If you or a loved one has been involved in a head-on collision you should consult with a car accident attorney to help protect your rights before speaking to your insurance company or speaking to the insurance company of the other party. Jonah Wolfson could be your lawyer. Obtain legal representation first and let them deal with the insurance companies on your behalf and guide you as to what to say. This is more important than many average citizens realize, as insurance companies routinely try to trick claimants into making statements detrimental to their own cases. The accident lawyers at the Wolfson Law Firm can guide you when it comes to dealing with insurance companies. Wrongful death and injury claims from a head-on collision need to be managed by a law firm who will pay close attention to and work with a plaintiffs who has suffered a devastating personal injury or who are the survivors of a loved on who died as a result of a head-on-collision. These cases require a lawyer to be diligent to stay up to date on new developments in personal injury law (federal, state and local), and to stay knowledgeable regarding the details when it comes to managing automobile accident cases. We here at the Wolfson Law Firm will fight for you to get the compensation you deserve!